First Connections collaborates with families to facilitate the child’s participation in family and inclusive community activities through intervention linked to specific family-centered goals which support the family’s enhancement of their child’s development. Infants and toddlers birth to age three with certain levels of developmental delay or a diagnosed condition likely to result in developmental delay and their families. Participation in early intervention is at no cost to families with an eligible infant or toddler. Infants and toddlers learn best in their natural environment through every day experiences and interactions with familiar people in familiar contexts with typically developing peers. All children, no matter what their physical, cognitive, or emotional level of development, need meaningful opportunities to develop skills, establish a sense of self, and lay a foundation for life-long learning. All children learning together fosters the potential of every child; children with disabilities have the right to play and learn alongside children without disabilities. The family and their IFSP team collaboratively plans and writes strategies/activities, services, and supports to enhance their child’s participation and learning in natural environments and every day a ctivities, using the child’s and family’s strengths to overcome challenges and to accomplish goals that reflect family priorities for their child’s development. Active family/caregiver participation in the early intervention process is critical to a child’s development with support and training from qualified early intervention service providers. Early intervention is designed to meet the needs of infants and toddlers who have a developmental delay or disability while offering supportive services to the family, like parent education/training to help parents understand their child’s developmental abilities in order to promote their child’s development. Supportive services to families of children (0 to 3) with developmental delay or disability and link families to resources in the community while encouraging parents to become advocates for their child. 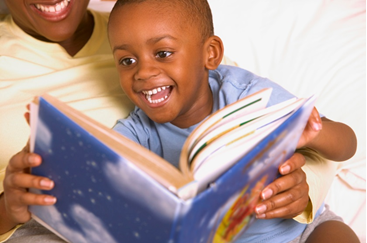 Parent training and education assists parents in enhancing their child’s development, learning, and growth. Since children learn best in familiar settings with familiar people doing familiar activities and routines, services are provided within the child’s natural environment. Natural environments are settings that are natural or normal for the child’s age peers who have no disabilities. When services take place, parent and child can be at home or at places within the community like the park, grandparent’s home, or playground. Providers may see your child at his/her daycare or other care provider. Intervention works best when it is incorporated as a part of the everyday routines and activities in which families participate and in places where families would typically be. A clinic, hospital, service provider’s office, or center in which the majority of children are not typically developing does not meet federal definition of natural environment as a typical environment for an infant or toddler without a disability; therefore, such a setting would not be the natural environment for an infant/toddler with a disability, except during a period of hospitalization for a prolonged illness. In certain situations, it may not be practicable or appropriate for an infant/toddler with a disability to receive an early intervention service in his/her natural environment and the IFSP team may elect to provide services in a specialized setting to achieve a particular developmental outcome, providing justification on the IFSP for this choice. In these cases, justification as to why a service will not be provided in the natural environment must be documented on the IFSP pursuant to §303.344(d)(1)(ii). Service providers are certified on the evaluations and services they offer. They can choose to serve in a limited or unlimited number of counties in Arkansas. Families are given a list of providers in their county of residence to choose from when they elect to participate in the program. These provider lists, which change frequently, can be acquired by anyone interested by using the general or specific contact information located on the “Contact” link at the top right of this page. For initial eligibility determination, infants and toddlers with disabilities and their families participate in a comprehensive, multidisciplinary child and family evaluation and assessment process. “Significant delay” is defined as a delay of 25% of the child’s chronological age (or greater) in one or more area of development (a-e above). Infants and toddlers are determined eligible for early intervention under Part C if they have a medically diagnosed physical or mental condition which has a high probability of resulting in developmental delay. Early intervention services provided to eligible infants and toddlers and their families are financed through multiple funding sources. It is the responsibility of the Service Coordinator to pursue all available resources within the State, including those from Federal, State, local, and private sources. However, prior to accessing First Connections funding for services, other funding sources other than First Connections funds must be utilized first as First Connections is the payer of the last resort. If a child has public or private insurance, the family must consent prior to usage of private insurance to pay for Part C services. First Connections funds may not be used to duplicate a service already available within the state. Anyone with concerns about a child may refer him or her to First Connections, and a service coordinator will contact the parent(s) to discuss concerns, answer questions, and assist the family in obtaining developmental evaluations to determine the child’s current level of functioning, strengths and needs. Your child is different from all other babies. Children roll over, sit alone, and learn to talk, crawl and walk at different times. Developmental milestones are things most children can do by a certain age. 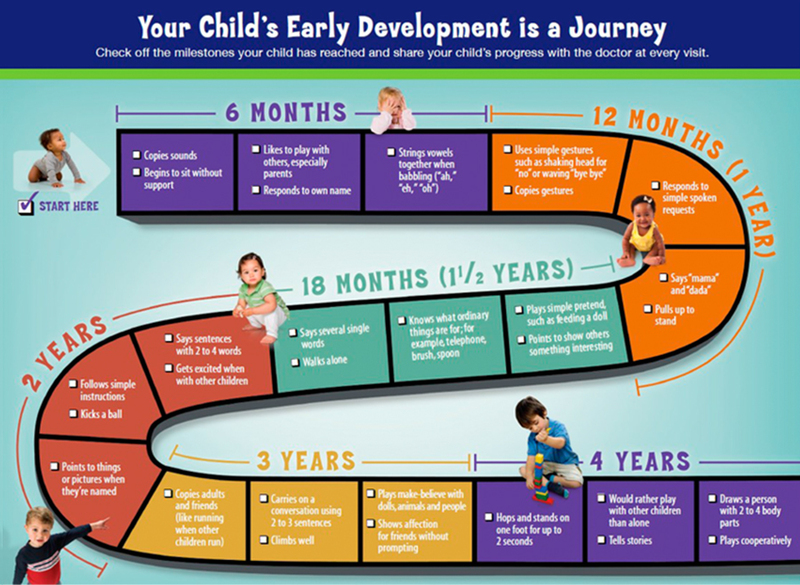 Developmental milestones help parents and professionals know “what to expect” in a child’s development, but they are general guidelines that allow for variations in stages of development. How your child plays, learns, speaks, and acts offers important clues about your child’s development. Use them to gain insight into what you're observing in your baby today and to preview what you can look forward to in the months ahead. Talk with your child’s doctor at every visit about the milestones your child has reached and what to expect next. Don't be too concerned if your child's rate of development seems different from other babies. However, if you suspect that your child may be falling behind in developmental skills, talk with your baby's doctor about your concerns or contact the early intervention program nearest you . . . we are here to help! Each timeline is meant as a guide, not as a source of concern. Part C of the Individuals with Disabilities Education Act (IDEA) requires primary referral sources (parents, grandparents, caregivers like daycare workers, and individuals licensed or certified to work with children) to refer any child suspected of having a developmental delay for early intervention as soon as possible but no later than 7 days after a delay is suspected. A child does not have to have a diagnosis to be referred -- only a suspected delay identified when a child is missing developmental milestones or has failed a hearing/vision screening. The Arkansas Inter-Agency Coordinating Council [AICC] and the Local Inter-Agency Coordinating Councils [LICCs] help coordinate and build capacity for early intervention services in Arkansas. The AICC advises and assists the lead agency to ensure the development and implementation of a statewide system of early intervention [EI] services for families and their infants and toddlers with special needs. Thank you for visiting the Web site of the Arkansas Interagency Coordinating Council (AICC). The AICC is a federally and state mandated independent board that functions under the Governor’s Office of Community Programs in an advisory capacity to First Connections, Arkansas’s Early Intervention System. Federal legislation for infants and toddlers with special needs and their families, Part C of the Individuals with Disabilities Education Improvement Act of 2004 (IDEA), calls for a comprehensive system of coordinated early intervention services. In Arkansas, this system is called First Connections -- an interagency system administered by the Department of Human Services, Division of Developmental Disabilities. Intervention by coordinated health, social, and educational services during the first three years of life increases developmental and educational gains for children, builds family capacity, and reduces the costs of special care later in life. Families with young children with special needs frequently require a range of services and supports which cannot be provided entirely by a single agency. Click here to view the AICC bylaws. Vision: The AICC strengthens and supports Arkansas families of children ages birth to five with special needs by advising and assisting the Division of Developmental Disabilities Services – Children’s Services in the evaluation and continuous improvement of the First Connections program. Mission: To work in collaboration with the Division of Developmental Disabilities Services – Children’s Services in an advisory capacity to design and oversee the implementation of a family-centered, community-based, comprehensive, interagency service delivery system for infants and toddlers (birth through two) who are eligible for Part C services and their families. The AICC advises and assists in the monitoring and evaluation of this system to ensure that families are supported and the potential of each child is maximized, that services are of high quality, efficient, timely, and maintain flexibility and manageability. Membership: The AICC is comprised of stakeholders in Arkansas’ early intervention system. The Governor appoints members of the Arkansas Interagency Coordinating Council (AICC) to represent designated agencies and stakeholders. Membership includes parents of infants or toddlers with disabilities, service providers, state agency administrators, personnel preparation staff, and a state legislator. View the application for gubernatorial appointment to a board or commission. Click here to view the current membership list. Identifying sources of fiscal and other support for services for the early intervention programs. Assigning financial responsibilities to the appropriate agency. Providing appropriate services for children birth through age 2. Seeking information from service providers, service coordinators, parents, and others about any federal, state, or local policies that impede timely service delivery. Taking steps to ensure that any policy problems are resolved. Achieving the full participation, coordination, and cooperation of all appropriate public agencies in the state. Resolving disputes, to the extent appropriate. Working with Local Interagency Coordinating Councils (LICCs) to coordinate and enhance existing early intervention services and assisting communities to meet the needs of infants and toddlers with disabilities and their families. Preparing applications for federal grants under IDEA, Part C.
Preparing budgets as necessary to carry out AICC's functions. Providing advice and assistance regarding the transition of toddlers with disabilities into services provided by agencies serving 3-5 children with special needs. Preparing reports to the Governor and federal officials as required by federal and state laws. An opportunity for interested parties to participate, in person, in the work of the AICC so that families, partners, grantees, and concerned citizens can comment on Arkansas’ system of early intervention. All meetings are open to the public. Special accommodations, including interpreter and translator services, should be requested at least two weeks prior to a scheduled meeting. For meeting information or to request special accommodations, contact the Division of Developmental Disabilities Services – Children’s Services at 501-682-8670. Location: Department of Human Services Office, 700 Main Street, Little Rock, Arkansas 72203, 1st floor Conference Room B. See our guest protocol for these meetings here. Local Interagency Coordinating Councils (LICCs) are made up of community members, family members, service providers and local agencies. The LICC is the advisory body to the early intervention lead agency (DHS/DDS – Children’s Services). The LICCs focus on making services easier for families to access locally and on building community capacity for early intervention services. Helping identify local gaps in services and community needs and developing strategies to improve/resolve them. Collaborating and coordinating with other local planning groups in improving services for children and families. Organizing local public awareness outreach efforts. Organizing and sponsoring local early intervention training for families, providers and community members interested in early intervention/early childhood issues. Working to improve the local early intervention system by identifying public and private funding sources across all relevant community partners. Assisting in implementing the local payer of last resort policies and procedures. First Connections collaborates with families to facilitate the child’s participation in family and community activities through intervention linked to specific family- centered goals which support the family’s enhancement of their child’s development. Parents and family members are a child’s first teachers and with necessary supports and resources all families can enhance their child’s learning and development. The family and their IFSP team collaboratively plans and writes strategies/activities, services, and supports to enhance their child’s participation and learning in natural environments and every day activities, using the child’s and family’s strengths to overcome challenges and to accomplish goals that reflect family priorities for their child’s development. First Connections, the Arkansas Early Intervention system, operates under the Department of Human Services, Division of Developmental Disabilities Services (DDS), Children’s Services. First Connections is part of the national Early Intervention Program for infants and toddlers with disabilities and their families. First Connections is governed under Part C of the Individuals with Disabilities Education Act (IDEA) and follows all federal requirements outlined in that law. First Connections provides services and supports in the home and community settings (natural environments) in which children without disabilities participate. The intent of program is to enhance the family’s capacity to assist in their child’s development through parent training, education, and supports. Who is eligible for First Connections? Information regarding application for approval for both individuals and agencies to provide early intervention services can be obtained by contacting the local Early Intervention Monitoring Specialist in your area and requesting the DDS Certification Standards for First Connections Services. Early Intervention Orientation Web-based training replaces the face to face EI Orientation workshop and provides a new look at early intervention requirements under IDEA, Part C for First Connections providers, service coordinators, and program administrators. The course contains information about how to complete the end of course exam to receive certificate of completion when the cut off score (70%) has been achieved. A copy of the certificate will be required for initial certification, for service coordination certification, and for proof of ongoing professional development hours (3 hours credit). Be sure to note the related documents and links below as companion tools and information to the training presentation itself. This Web-based Procedural Safeguards/Surrogate Parent Training replaces the face to face Procedural Safeguards/Surrogate Parent workshop. This training is one of the required courses for First Connections service coordination certification for First Connections (Part C) service coordinators. This training can be used for ongoing professional development (0-3) for any Part C provider, program administrator, or service coordinator. Completion of this training and the end of course assessment results in 3 hours of ongoing professional development when the cut-off score is reached on the post-test. The training discusses child and family rights under IDEA, Part C, including methods of dispute resolution and FERPA protection of educational records. The course also discusses federal guidelines on who may serve as "parent" for a child under Part C and when an educational advocate (a DDS surrogate) is appointed. Session 2: Overview of the Child Outcomes Summary (COS) Process. Session 3: Essential Knowledge for Completing the Child Outcomes Summary (COS) Process. Provider TA courses provides support to IFSP team members on focused topics. These 1-hour recorded Web trainings can be used by provider programs as part of their own staff development or can be taken by individuals on an as-needed basis. No professional development certificate results from completion of the following Technical Assistance (TA courses) and there is no post-assessment. These TA offerings cannot be substituted for service coordination certification courses. TA: Intake -- best practices for initial contacts and intake. TA: Child and Family Assessment -- explaining the assessment interview to families and other caregivers, completing the assessment, and using the results of the assessment to develop meaningful, functional IFSPs with parents and other caregivers. TA: Justification / Natural Environment -- process for developing required justification to provide a service outside of the child’s natural environment when the child is unable to make progress toward meeting functional IFSP goals in his/her natural environment. TA: Team Child Outcome Summary Process -- how to involve all team members in developing the Child Outcomes Summary at the Initial IFSP, Annual Review and at Transition/Exit. Referrals should be accompanied by an Rx for a developmental evaluation to determine eligibility along with an Rx for any specialized evaluations the physician deems necessary. First Connections maintains a Toll Free information line at 1-800-643-8258 which any professional, family member, or individual may access. First Connections staff is ready to assist callers to answer questions regarding referral for early intervention. When a family is referred, a service coordinator in the area in which the family resides contacts the family to offer an overview of the program and to offer assistance. Family participation is voluntary. First Connections collaborates with families to facilitate the child’s active participation in family and community activities. Early intervention is linked to specific family goals which support their child’s development. First Connections also provides supportive services to families, like parent education/training to assist in understanding their child’s developmental abilities and needs and provider coaching to help families promote infant/toddler development. A multidisciplinary team of early intervention professionals partners with the family to determine areas of concern and the supports needed to reach functional child outcomes on the Individualized Family Service Plan (IFSP). The IFSP addresses the documented area(s) of delay, functional status and needs as well as strengths, and outlines appropriate EI services and frequency, duration, intensity, and location for provision. 34 CFR §303.344(d)(1) – The IFSP must include a statement of the specific early intervention services, based on peer-reviewed research (to the extent practicable), that are necessary to meet the unique needs of the infant/toddler and family to achieve the results or outcomes identified in paragraph (c – “measurable outcomes expected to be achieved for the child including: pre-literacy and language skills, as developmentally appropriate for the child”). The IFSP must include the criteria, procedures, and timelines used to determine degree to which progress is being made and whether revisions of the expected outcomes and/or EI services are necessary. The IFSP also include information about the length, duration, frequency, intensity, and method of delivering early intervention services and the location/s – including justification for services provided outside of the natural environment with a transition timeline/plan for re-integration into the natural environment. 34 CFR §303.342(e) and §303.420(a)(3) – The projected date for the initiation of each early intervention services is provided on the IFSP; services should begin as soon as possible after the parent consents to the services. 34 CFR §303.126(a) services are provided “to the maximum extent possible” in natural environments and (b) in other settings only when early intervention services cannot be achieved satisfactorily in a natural environment (as determined by the multidisciplinary IFSP team). 34 CFR §303.510 -- State’s “Part C” programs are the payor of last resort. 34 CFR §303.521 – Families will not be charged any more than the actual cost of service and families with public or private insurance/benefits will not be charged disproportionately more than families who do not have coverage. 34 CFR §303.520(a)(2)(ii) – Providers may not require parents to sign up for or enroll in a public benefits or insurance program as a condition for their infant/toddler to receive early intervention services. 34 CFR §303.521 – Fees will not be charged to parents for services that an infant/toddler is otherwise entitled to receive at no cost. And the inability of a parent to pay for services will not result in denial of or a delay in services. Decrease available lifetime coverage or any other insured benefit for the infant/toddler. Risk loss of eligibility for the infant/toddler or the parent for home and community-based waivers based on aggregate health-related expenditures. CFR §303.520(a)(3)(iii) – Parents have the right to withdraw consent to disclosure of personally identifiable information to the agency responsible for administration of the state’s public benefits/insurance program at any time. Several roles for the pediatrician exist under the Individuals with Disabilities Education Act (IDEA). All pediatricians should ensure that in their practices, every child with a disability has access to the following services. A medical home.5,6 A medical home provides care that is accessible, continuous, comprehensive, family-centered, coordinated, and compassionate. For children with special health care needs, many of whom have an IEP or an IFSP, the pediatrician's central role as the provider of primary care means that he or she would participate in the plan development. In addition, the pediatrician should collaborate with community resources in treatment planning and in promoting early intervention programs that work. Screening, surveillance, and diagnosis 7,8 The pediatrician should screen all children from the first encounter, checking for risk or existence of a disability or developmental delay. Pediatricians are in key positions to identify at the earliest possible age those children who may benefit from services under IDEA. Pediatricians should provide screening and surveillance using a combination of methods best designed to take advantage of multiple sources of information. Referral. The pediatrician should be knowledgeable about the referral process to early intervention programs in his or her community and knowledgeable about the parents' right for multidisciplinary team evaluation by the school- or state-designated agency if a disabling condition may be present. In addition, some of the best support of parents comes from other parents who are able to offer emotional and social support and practical advice. Many communities have programs in which parents support each other and help parents new to the system better navigate the system.9Family Voices, a nationwide grassroots network of families and friends speaking on behalf of children with special health care needs, is a creditable organization that can assist parents and pediatricians and is accessible by telephone and the Internet (1–888-835–5669;www.familyvoices. org). Diagnosis and eligibility. For early intervention, the pediatrician has an important role in the identification of children with established delays and in the diagnosis of conditions with a high probability of developmental delay, which will qualify a child for this program. Each state has developed a definition of these conditions, which should be obtained from the state's lead agency for this infant and toddler program. In addition, some states include “at risk” conditions as defined by the state as eligible for services. Further information about these issues can be obtained from the single point of entry into Part C locally or the state's lead agency. A list of lead agencies for state early intervention services can be obtained from the National Childhood Technical Assistance System (919/962-2001;www.nectas.unc.edu/). Participation in assessment. A child identified through screening or observation as meeting the definition for developmental delay should receive a comprehensive multidisciplinary assessment. The pediatrician has an important role as a referral source or, if more extensive participation is elected, as a member of the multidisciplinary team. Few pediatricians have the flexibility in their schedules to participate in person in lengthy team meetings. Usually, these meetings are scheduled with a short lead time and at the convenience of the educators arranging them. However, all pediatricians should offer to be available by written communication or participate by conference call or other means to offer input to and receive feedback from the assessment team. Ideally, the pediatrician should be a member of the team and attend the IFSP meeting. Counsel and advice. During the assessment process, families will need a knowledgeable person for medical advice and counsel. Pediatricians can alert parents to the benefits of a pre-IFSP or pre-IEP conference; of their right to sign the IFSP or IEP (for children over three) only when they are comfortable with the recommendations; and their right to have a friend or other advocate at the IFSP and IEP conference. Although a parent may bring their personal attorney to the conference, most parents do not. If an attorney is going to attend on behalf of the family, the family should notify the school agency of that fact before the meeting to give the school an opportunity to have their legal counsel or top administrator scheduled for the conference. The appeal process begins at the district school board where the child resides. The president of the school board and superintendent of schools should receive the written appeal document. If appeal at the district level fails to satisfy the family's concerns, their next appeal is to the State Board of Education. Rarely does an appeal by either the school district or family go to state or federal supreme courts. Each district school board has a published document that advises parents of procedural safeguards, which can be obtained at no cost to the family. Most assessment teams nominate a member as service coordinator to work with the families. A strong link should be developed between the assessment team and the primary care pediatrician, as well as an open sharing of concerns between parents, the pediatrician, and the assessment team. Creation of the IEP and IFSP. Pediatricians who participate in the assessment process should be consulted by the assessment team when these documents are created. Such consultation is vital to preparing an appropriate and effective plan. The pediatrician should review the plan developed, counsel the family, and comment on health-related issues as needed. The pediatrician should determine if the health-related services proposed are appropriate and sufficiently comprehensive and assist parents in performing their advocacy tasks when there is evidence of inappropriate planning. Ideally, when schools or educational agencies are developing the IEP or IFSP, a pediatrician should serve as a member of the assessment team. Coordinated medical services. When medical services are part of the IEP or IFSP, they should be conducted by the primary care pediatrician or an appropriate pediatric subspecialist. 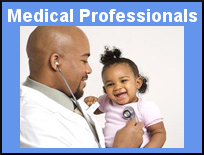 Medical services and communication should be coordinated by the primary care pediatrician or his or her designee in those cases in which the children have complex medical needs involving several physicians or centers. Special education personnel should be made aware of the restrictions of health care insurance including limited referral options and the role of the primary physician as “the gatekeeper” in some programs. Advocacy. Pediatricians have many local and state opportunities to serve as knowledgeable, thoughtful advocates for improved community and educational services for children with disabilities. Pediatricians who select this role need to be aware of the structure of services in the community and the key persons who implement them. Examples of advocacy roles for pediatricians include participation in the local (LICC) or state early intervention interagency council (AICC), consulting with the Part C program and/or local school system or state department of education, or becoming a school board member. American Academy of Pediatrics, Ad Hoc Task Force on Definition of the Medical Home (1992) The medical home. Pediatrics. 90:774. American Academy of Pediatrics, Committee on Children With Disabilities (1993) Pediatric services for infants and children with special health care needs. Pediatrics. 92:163–165. Q. How do I refer? A. Referrals are made by faxing a referral along with pertinent records and a prescription for evaluation to the Central Intake Unit. 1-800-643-8258 (toll free information line) 501-682-8890 (fax) evaluation(s) to 501-683-4745. If you have questions about referring a child, call the toll free information line at 1-800-643-8258. Q. Do I have to wait until there is a confirmed diagnosis to refer? A. No. Federal IDEA guidelines indicate that a referral “for evaluation” MUST be made as soon as possible (but not more than seven days) after a suspected disability/developmental delay. When faxing the referral form, please be sure to also fax a copy of any developmental screening information and/or copies of pertinent medical or developmental evaluations that will inform the evaluation process. Q. Will I receive feedback on my referral? A. Yes. First Connections follows up with the referral source. Q. How common are developmental disorders? A. “Developmental disabilities are common and were reported in ∼1 in 6 children in the United States in 2006–2008. The number of children with select developmental disabilities (autism, attention deficit hyperactivity disorder, and other developmental delays) has increased, requiring more health and education services. Additional study of the influence of risk-factor shifts, changes in acceptance, and benefits of early services is needed.”1 The U.S. Department of Education reports that less than 3% of children under three are being served through the federally-funded (“Part C”) early intervention program2 even though approximately 17% of children under the age of 18 are affected by a developmental, behavioral, or learning disability.3. Q. Who makes up a child’s IFSP team? A. The IFSP team is a multidisciplinary team that must include: the family and anyone the family chooses to invite, the EI service coordinator, an EI professional qualified to interpret evaluation results. 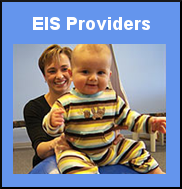 Other professionals that participate on the team are the EIS providers directly involved with service provision to the child/family. The child’s PCP may choose to be a part of the IFSP team and is encouraged to do so. As a child approaches his/her third birthday, a representative from Early Childhood Special Education under Part B (3-5) or a representative of an appropriate agency to which the child may transition may join the team to prepare the toddler for what lies ahead. Q. Who is eligible for early intervention through First Connections? A. (1) Infants/toddlers (0-36 months) with a diagnosed physical or mental condition with high probability of developmental delay. (2) Infants/toddlers whose multidisciplinary developmental evaluation identifies a significant delay (25% or more of chronological age) in one or more areas of development: adaptive, cognitive, communicative, physical, social and emotional. Families are a child’s first teacher. Families take an active role in early intervention, learning strategies to use at home and in the community to promote their child’s development through naturally occurring learning opportunities. Families also lead their child’s “EI team” with the help of their “go to” person, their service coordinator. With the service coordinator and other early intervention professionals to assist, families learn their rights under IDEA, and learn more about their child’s unique strengths, abilities, and needs. What if I have a concern about my child, but I don’t have a referral? When a parent has a concern about a child’s development, often the parent talks to his/her family doctor or the child’s pediatrician. Pediatricians will perform screenings at well-child checkups, which are a good way to measure your child’s growth and progress while making sure your child stays healthy. Pediatricians can make referrals to early intervention, but it is important to remember that ANYONE CAN MAKE A REFERRAL. So, if your pediatrician feels like it’s OK to “wait and see” or feels like “it’s no big deal” but you still have concerns, you can refer your child by calling First Connections’ toll free number: 1-800-643-8258. Medical professionals and early interventionists use this term when a child doesn't reach developmental milestones within the broad range of what's considered typical. The delay might be in one or more areas: gross and fine motor skills (such as sitting up and grasping objects); communication and language skills (both "receptive," which relates to understanding, as well as "expressive," which relates to speaking); self-help skills (like toilet training and dressing); and social skills (such as making eye contact and playing with others). "It's important to remember that while development tends to unfold in a typical progression — most babies crawl before they walk, make sounds before they say their first word — children develop at different rates and in different ways," says Claire Lerner, child development specialist at Zero to Three, a national nonprofit promoting the healthy development of children. So, for example, one 7-month-old may have very advanced motor skills because he loves to explore and interact through movement but not spend much time jabbering, while another baby the same age may be playing with syllables and calling you "mama" but be less adept at motor skills. "What's most important to track is that the child is making forward progress in all domains," explains Lerner. The family will work together with their “team” to collaboratively plan and write goals for their child and family to enhance their child’s participation and learning in natural environments and every day activities, using the child’s and family’s strengths to overcome challenges and to accomplish goals that reflect family priorities for their child’s development. These goals go on a plan called the IFSP (Individualized Family Service Plan). With the help of EI professionals on your IFSP team, families decide which strategies/activities, services, and supports will help them reach their goals for their child and family. What can I expect after a referral to early intervention is made? If the parent is interested in early intervention supports and services, the service coordinator will make an appointment with the parent at a time and place convenient to the family. This meeting is to complete “intake,” which though it may sound “medical,” is really just a conversation about early intervention, your child and your goals for your child, and going over your rights and explaining next steps. Should the parent wish to proceed, the parent will select a provider (or providers) to complete a developmental evaluation (needed for eligibility determination and planning) and any other evaluations the family and service coordinator feel are needed to address parent concerns about the child’s development (for example, a speech evaluation for a child who is not yet talking). After choosing the provider to complete the evaluations, the parent signs consent and release forms so that the service coordinator can share your contact information with the provider you have chosen, and so the provider can share the evaluation results with the service coordinator when the evaluations are completed. The provider you have chosen will contact you to schedule a time for the evaluation(s) that you have given consent for. Families have the right to have evaluations conducted at a place familiar to the child (home or the child’s daycare) and can request this, or the parent may choose to take the child to the provider’s location for the evaluation(s). The therapist conducting the evaluation will rely on you, the expert on your child, for information and will ask you questions about things your child can (and can’t do). The therapist will also ask you about the pregnancy and birth and many other questions about your child. The evaluation is usually fun for the child and therapists conducting the evaluations get down on the floor and play with the child to assess the child’s abilities, strengths, and needs. If a child is particularly shy, the parent can be there with the child and assist. In any evaluation situation, the parent can be present – this is your right! Within 45 days of the referral, you and your IFSP team must create your child’s IFSP (Individualized Family Service Plan). When the evaluation results (also called “reports”) are in, your service coordinator will contact you to schedule a meeting to go over these results, answer questions, and begin planning what supports and services would be needed to reach the family’s goals for the child. The family, the service coordinator, and the therapist(s) who conducted the evaluations (or a representative for that office qualified to interpret evaluation results) attends this meeting. The parent may invite anyone else they’d like to be present. This meeting will end with the “initial IFSP” (the first Individualized Family Service Plan). You’ll be asked to sign the plan (or submit an electronic signature) to show that you agree with the plan. Don’t sign until you feel the plan reflects what you want for your child! When you sign the IFSP and agree to the plan that you and your IFSP team have made, the supports and services that you have given consent for your child to receive will begin within 30 days of your signature on the IFSP. Someone from the provider that you have selected will contact you to set up days/times and locations. Remember that children learn best in familiar places with familiar people. It is your right (and your child’s right) to receive services in your child’s typical environment (called “natural environment” in early intervention)! For more information about transitioning at age three, read the family guide linked below in "Important Family Documents." IDEA (Individuals with Disabilities Education Act) Part C defines “natural environments” as settings and routines that are natural or typical for a same-aged infant or toddler without a disability. This would include places where children live, learn, and play, such as, home, daycare, grandmother’s house, and the park. Natural environments are more than a place. Providing intervention in natural environments gives children multiple opportunities to practice skills throughout the day as they communicate what they want, see, do, and enjoy during common everyday activities with familiar people in familiar circumstances. Take the Family Survey here. Part C, First Connections Early Intervention Program is required annually by the Office of Special Education (OSEP) to report the number of children served, settings for services and exit data along age, gender and race & ethnicity demographics. Data on dispute resolution is also required. Part C, First Connections Early Intervention Program is required annually by the Office of Special Education (OSEP) to report on all local DDS contracted service provider’s performance. Percent = [(# of infants and toddlers with IFSPs who receive the early intervention services on their IFSPs in a timely manner) divided by the (total # of infants and toddlers with IFSPs)] times 100. Percent = [(# of infants and toddlers with IFSPs who primarily receive early intervention services in the home or community-based settings) divided by the (total # of infants and toddlers with IFSPs)] times 100. Percent of infants and toddlers who did not improve functioning = [(# of infants and toddlers who did not improve functioning) divided by (# of infants and toddlers with IFSPs assessed)] times 100. Percent of infants and toddlers who improved functioning but not sufficient to move nearer to functioning comparable to same-aged peers = [(# of infants and toddlers who improved functioning but not sufficient to move nearer to functioning comparable to same-aged peers) divided by (# of infants and toddlers with IFSPs assessed)] times 100. Percent of infants and toddlers who improved functioning to a level nearer to same-aged peers but did not reach it = [(# of infants and toddlers who improved functioning to a level nearer to same-aged peers but did not reach it) divided by (# of infants and toddlers with IFSPs assessed)] times 100. Percent of infants and toddlers who improved functioning to reach a level comparable to same-aged peers = [(# of infants and toddlers who improved functioning to reach a level comparable to same-aged peers) divided by (# of infants and toddlers with IFSPs assessed)] times 100. Percent of infants and toddlers who maintained functioning at a level comparable to same-aged peers = [(# of infants and toddlers who maintained functioning at a level comparable to same-aged peers) divided by (# of infants and toddlers with IFSPs assessed)] times 100. Summary Statement 1: Of those infants and toddlers who entered or exited early intervention below age expectations in each Outcome, the percent who substantially increased their rate of growth by the time they turned 3 years of age or exited the program. Summary Statement 2: The percent of infants and toddlers who were functioning within age expectations in each Outcome by the time they turned 3 years of age or exited the program. Approximately 3,000 surveys were sent to families of clients served within the past year. Arkansas adopted the survey created by the National Early Childhood Outcomes. Percent = [(# of respondent families participating in Part C who report that early intervention services have helped the family know their rights) divided by the (# of respondent families participating in Part C)] times 100. Percent = [(# of respondent families participating in Part C who report that early intervention services have helped the family effectively communicate their children's needs) divided by the (# of respondent families participating in Part C)] times 100. Percent = [(# of respondent families participating in Part C who report that early Intervention services have helped the family help their children develop and learn) divided by the (# of respondent families participating in Part C)] times 100. Percent=[(# of infants and toddler birth to 1 with IFSPs) divided by the (population of infants and toddlers birth to 1)] times 100 compared to national data. Percent = [(# of infants and toddlers with IFSPs for whom an evaluation and assessment and an initial IFSP meeting was conducted within Part C’s 45-day timeline) divided by the (# of infants and toddlers with IFSPs evaluated and assessed for whom an initial IFSP meeting was required to be conducted)] times 100. This data is captured, analyzed and reported across all Service Providers providing Service Coordination. The data is collected for the Annual Performance Report from all provider types in the state, including Licensed Community Programs, Independent Service Providers and State Service Coordinators through a combination of data systems including Special Education Automation System (SEAS), the Developmental Disabilities Services (DDS) Mainframe and the Electronic Data System (EDS). In addition, this data was verified, supplemented and completed using inquiry from Licensed Community Programs, State Service Coordinators, and Independent Service Providers. In Arkansas, Part C early intervention is under the direction of the Department of Human Services, Division of Developmental Disabilities Services Part C Program, First Connections (FC). FC is a federally funded program for families whose child is under the age of three and has a developmental delay or disability. Early intervention may begin at any time between birth and age three; however, when early intervention is needed, the earlier it is provided, the better the outcome for the child and family. Supports provided under First Connections are aligned with each family’s unique situation, culture, language, resources and priorities. Early intervention includes evaluation of a child’s strengths and needs and an assessment of the family’s priorities for their child’s development, family resources, and the child’s current level of participation and learning opportunities within typical family life. Early intervention also includes service coordination; individualized learning experiences; family support from specialized service providers such as developmental , physical, occupational and/or speech and language therapists; home visits and parent training/coaching; and transition supports to facilitate a smooth change from early intervention to preschool or other appropriate programs. These services may be provided in homes, childcare centers, Early Head Start programs or other early childhood settings. FC contracts with licensed/certified agencies throughout the state to provide intervention supports and services necessary to meet the child’s functional goals on the child’s and family’s plan. 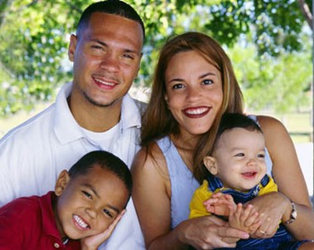 Early intervention supports and services are funded through the family’s health insurance and/or Medicaid. Services are provided at no cost to the family.